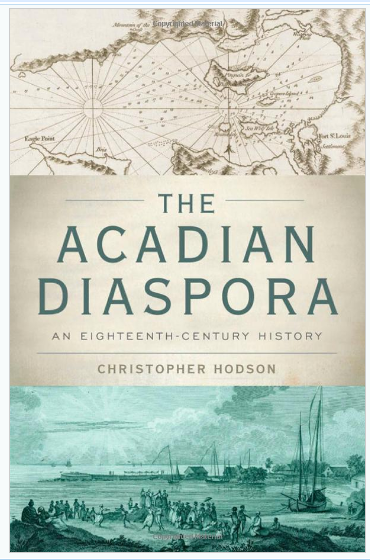 In his critique, Henry Roper presented a very short list (there are 3) of the books which he defines a benchmark for good Acadian history. The first is Naomi E.S. Griffith's "The Context of Acadian History, 1686-1784" published in 1992 and which we discussed at our CMA 2004 Conference of the Terriot Acadian Family. Naomi was one of the first (along with Clive Doucet) to propose that the Acadians had organized themselves democratically to deal with not only England and France but also the Colonials and others with whom they traded. She very kindly gave us permission to use the results of her work in that book in our presentation of "Migration from Acadia". We mention this idea along with Clive's words earlier in our presentation of the 'Promise of Acadie' section of our website. The second book which Roper includes in his list is of course John Mack Faragher's "A Great and Noble Scheme...". Those delegates who participated in the CMA2009 Conference of the Terriot Acadian Family will remember that the book was a central focus of the Conference. And also, there was a symposium on the book that was presented by Faragher a few days later in Caraquet. 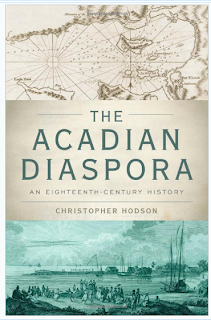 So, it appears that we are in 'violent agreement' with Roper on what constitutes good Acadian history. His third book which I have not yet read is Geoffrey Plank's 'An Unsettled Conquest'. I'm falling behind on my reading.